Rexroth and I got back yesterday from a quick little weekend getaway — cruising down the highway listening to the new Green Day album, climbing the (maybe) highest sand dune in North America, soaking in natural hot springs, and taking naps. Oh, and I got some reading done, too. Not work, though. While I brought my Kindle with me, I never even opened it. It was such a joy to turn off my analytical agent brain and just enjoy a good story. And what a story! 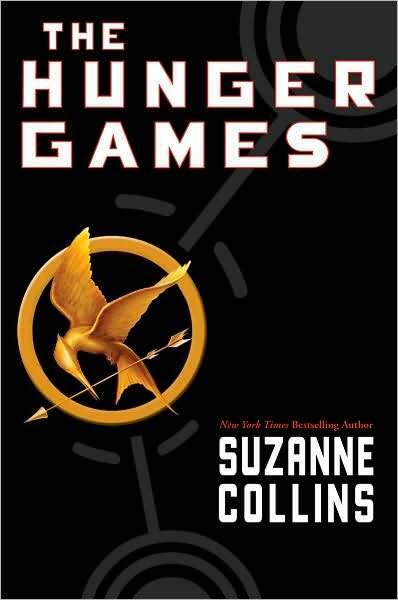 I may be the last person in publishing to have read this, but The Hunger Games was fantastic. If, for whatever reason (“everyone else likes it, so I’m going to be contrary and avoid it,” to name one) you haven’t picked this up yet — just do it. And I was lucky enough to grab a galley of Catching Fire at BEA earlier this year, so I can read the sequel RIGHT AWAY. Or rather, the next time I get some time off, whenever that will be. So that was Friday night, after dinner. Saturday, after my massage, Rexroth and I sat next to the San Juan River, reading and alternately dipping into the hot springs, testing them all out for temperature and comfort. I got sunburned (my family would say, “What a surprise!” and totally make fun of me AGAIN) but I did so in order to finish reading The Disreputable History of Frankie Landau-Banks, so it was completely worth it. And I realized both of these were books I’d had on my “To Read” shelf for far too long, and that’s there’s probably scores of other books I’m going to love as much, that I already own, and the only thing keeping me from them is the time to sit and enjoy. And then I remembered — Labor Day Weekend is only 3 weeks away, and what better time to dip into a few more summer books before “back to school”? Sure, kids are going back to school out here in Colorado THIS WEEK, but I find that an abomination against nature. Everyone KNOWS school starts after Labor Day. And if I’m going to read some neglected soon-to-be-favorites, maybe you’d like to join me? So here’s what I’ll do. I’ll commit to reading two more books (for fun) between now and the end of the Labor Day weekend. But which ones? That’s where you come in. Tell me which books are on your “To Read” piles, and I’ll compare them against the ones on my shelf. I’ll pick the two most popular titles (that I already own), and report back after I finish them. If you ALSO commit to reading at least ONE of them, and post a review of it of your blog or otherwise linkable corner of the web, and come back here to share it, then you’ll be entered to randomly win a copy of Josie Bloss‘ Band Geeked Out. What will I read? Only YOU know! It could be Catching Fire, or another E. Lockhart title I hear is great, Dramarama. I still haven’t read Going Bovine or Little Brother yet, or Kiki Strike. Or the Mortal Instruments trilogy — do I have it in me to tackle three books? Maybe! I used to devour books, and I still love to do so, but I just don’t get as much of a chance to do so as I used to — not when I’m trying to keep up with queries and partials and client manuscripts, which take priority. So sign out in the comments and make some book recommendations! I’ll report back in a week or so on the most popular suggestions. Count me out of the actual contest since I have Band Geeked Out, but I've got some five-star suggestions: The Demon's Lexicon, Coffeehouse Angel, Graceling, and The Treasure Map of Boys (provided, of course, you've read the other two Ruby Oliver books first). (Most definitly:) The Mortal Instruments!!!!! Oh, I also forgot adult books. I recently read and loved Time of My Life by Allison Winn Scotch. Do you like romance at all? I was BLOWN AWAY by Deidre Knight's BUTTERFLY TATTOO. It actually read more like fiction than genre romance–but it was really amazing. I was prepared to not like it, but it's on my top ten of character's who stayed with me long after I finished the book. Your weekend sounds heavenly! And I totally agree with you that starting school now is an abomination against nature. As for my summer reading, I just finished Sarah Dessen's Along for the Ride, which I loved, just like I love all her books. And right now, I'm actually rereading an old Nancy Drew book – The Mystery of the Tolling Bell. As a writer, it's really interesting to read. The language and style is so different from what's being published now. It's a trip! Keep those suggestions coming! I'm going to go through and bold books that I actually have in my possession, but have not yet read, so we know what's in the running. Alex Flinn's Beastly and A Kiss in Time. Ohhh, I'd be up for the Mortal Instruments books or Graceling or, The Sky Always Hears Me: And the Hills Don't Mind. Drat. I don't think that comes out until September. The Gallagher girls series (book 3), The Uglies Series (Extras), hmm… what are some other oldie goodies. You've got Going Bovine??? AAAAUGH! Read it and tell me how it is!!!! You do realize that I used to manage the national center for research in Mad Cow disease, right? I've got to read that book! I'm not exactly sure how these things follow each other logically, but they do. SILVER PHOENIX by Cindy Pon is really good, too! I'm gathering titles to put on my list – I haven't read THE HUNGER GAMES yet, either. I just made the haul up to the B&N in Loveland, and refilled my TBR pile. Most of what I bought were later books in series I'm trying to finish (like the Dresden Files). You could try the new YA by Rachel Vincent, though – My Soul to Take – or her werecat series, the most recent is Prey. I also picked up Allison Brennan's latest romantic suspense – Cutting Edge. I think it's her best so far. I'm almost done with The Book Thief. Started Fragile Eternity. And I plan to take The Graveyard Book and Paper Towns with me on a nice vacation in the mountains! To be completed before Labor Day! My To Be Read pile is embarrassingly large…I'm about halfway through The True Meaning of Smekday by Adam Rex. The next three I plan to read are Jumping off Swings by Jo Knowles, The Forest of Hands and Teeth by Carrie Ryan and The Shack by Wm. Paul Young. I just read Wake and Fade by Lisa McMann. I couldn't put them down and the format makes them quick reads. Can't wait to read Gone when it comes out. I also like The Mortal Instruments series. That's just my YA stuff. I'm starting to review everything I read on LibraryThing, so if you choose any of those, I'll have a link to a review. My reading blog's on the fritz, so I don't have a nice simple link yet. I know I've said it already, but, yes, Dramarama is one of my faves, but I love everything E. Lockhart does. Have you read Liar yet? It is inspiring hours of discussion in my circle as the ARC gets passed around. Recently read Coe Booth's Kendra and loooooved it. You’ve probably already read all of my suggestions or have them on your list, but I’m currently reading Percy Jackson and the Lightening Thief—nothing like a movie to light a fire under me . and Suite Scarlett (which I assume you have read since she is your client-lol).